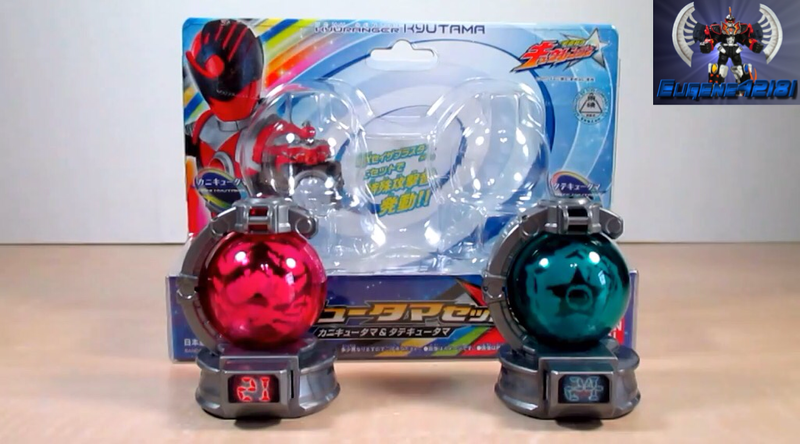 Hello Hero Club, today I am here to share my review on the Uchu Sentai Kyuranger: DX Kyutama Set 01. The DX Kyutama Sets seem to be similar with other Bandai releases, as in it will only feature two of the collectible gimmick of the series. That means only two Kyutama per set, outside of the Cockpit sets. Set 01 contains No. 21 Kani Kyutama and No. 24 Tate Kyutama. The Kani (Cancer) Kyutama feature a red-ish pink globe, which when activated creates a pincer claw attack to be used on opponents. Whereas, the Tate (Scutum) Kyutama is very oceanic green globe that can create a temporary shield.